Paul Delaroche, a premier French painter during his time, whose full first name was Hippolyte-Paul, was born to a wealthy Parisian family on July 17, 1797. He trained under Baron Antoine-Jean Gros, who was known as a life-size history painter and Napoleonic era chronicler. 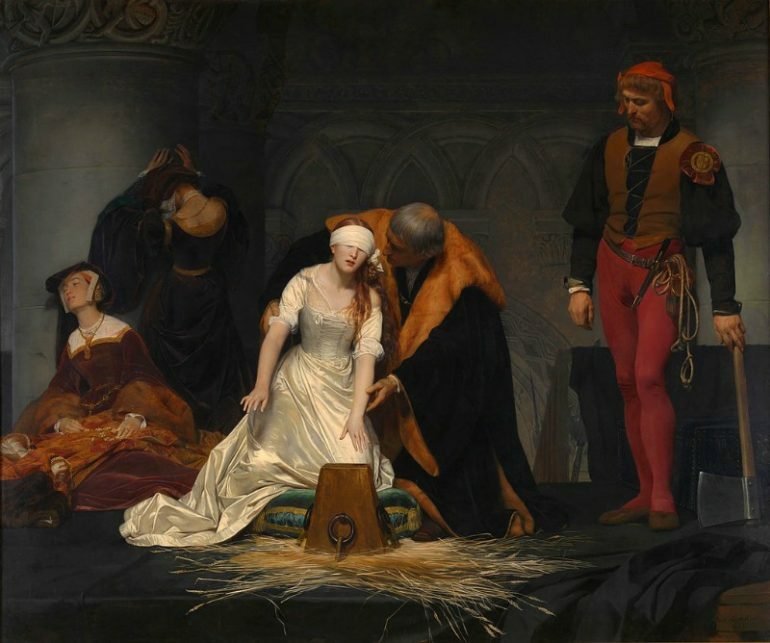 Delaroche was noted for his hauntingly realistic historical canvases that made him a very prosperous academic artist in France during the mid-19th century. With an art expert for a father, a painter brother and an uncle who was a Cabinet des Estampes curator, he was around art objects since he was born. His father urged him to take up landscape painting under Louis Etienne Watelet at the French Academy but he did not have the aptitude for it. He started figure painting in 1818 under Baron Gros and four years later he was already exhibiting at the Paris Salon. The very first painting he exhibited was entitled “Josabeth Saving Joas” and met and became friends with Theodore Gericault, who had just finished the “Raft of the Medusa,” the painter’s most popular masterpiece. At the same time he also met great French Romantic Painter, Eugene Delacroix. Gericault, Delacroix and Delaroche became the nucleus of a large group of history painters in France. Paul Delaroche stayed in Paris throughout his life and career, and maintained a studio at Rue Mazarin. At age 35, Delaroche was already a member and professor of École Nationale Supérieure des Beaux-Arts. He had plenty of students, among them Alfred Boisseau, an American painter and photographer; Charles Lucy and Edward Armitage, who were history painters from Britain and Henry Mark Anthony, a British landscape artist. Jean-Leon Gerome, Jean-Francois Millet and Thomas Couture were also his students. In 1845, at the age of 48, Delaroche was named Honorary Academician by the National Academy of Design in New York. The paintings of Delaroche were created with smooth, solid and firm surface that made them appear to have a very high finish. This type of texture was very popular during that time and could be seen in the works of Jean Auguste Dominique Ingres, Louis Léopold Robert, Ary Scheffer and Vernet. He usually made wax models of his compositions before he did the actual painting. His historical pictures were very popular and their engraved reproductions allowed many more people to be familiar with his works. “Children of Edward,” which was painted in 1830, depicting the sons of Edward IV imprisoned in the Tower of London, was one of the most popular. Delaroche painted in the Realist style. 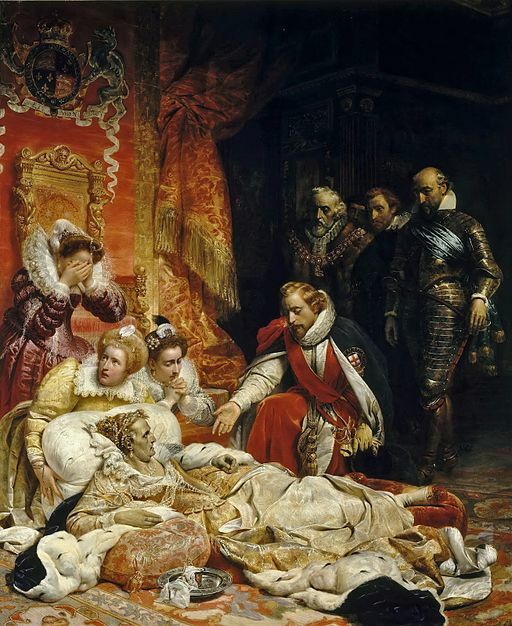 His scenes were not reconstructions based on history but dramatizations, which had greater appeal to the public and made him a very well-known history painter in his country. At that time he was more recognized than Ingres and Delacroix, which brought several students to his Parisian studio. His paintings were remarkable for they showed he’s a master draftsman and was meticulous in showing details in his paintings. His paintings were almost photographic due to their true-to-life realism. He received wide acclaim in 1834 when he showed the Execution of Lady Jane Grey at the Paris Salon. However, after receiving negative reviews in the 1837 exhibits of the Salon, he never joined again. Paul Delaroche visited Italy in 1838 and 1843 when his father-in-law, Horace Vernet, a military artist, was the director of the French Academy located in Rome. He did engraved copies of his own paintings in the 1830s, making them available to more patrons not only in France but also in England. He was commissioned to do The Hermicycle of the Ecole des Beaux Arts in Paris. The huge painting included 75 prominent figures in architecture, sculpture, painting and philosophy.